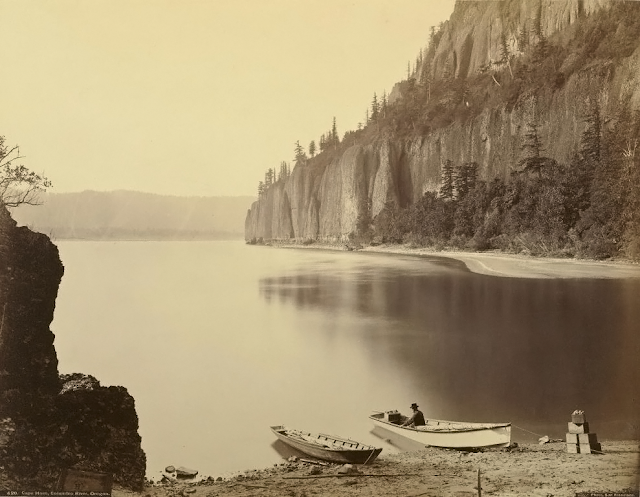 Cape Horn, Columbia River, Oregon, print about 1881 – 1883. Albumen silver print. Photographer, Carleton Watkins 1829 – 1916. Shawn Nee, a documentary photographer, was detained in Hollywood in June. Nee was out on the job doing regular street photography when police officers showed up 90 feet away to intervene in a domestic dispute. Nee decided to photograph the officers while they were doing their job. That meant trouble for him. Nee was so far away the police got in their car to go over to him because they did not feel like walking that far. A police department spokesperson said, “when it interferes with the job of police then it becomes a problem. At that point, you no longer have that freedom to go ahead and take your pictures.” So goodness forbid that you’re crunching down on some corn flakes 10 yards away from an arrest. The officers will claim you’re getting on their nerves and tase you. 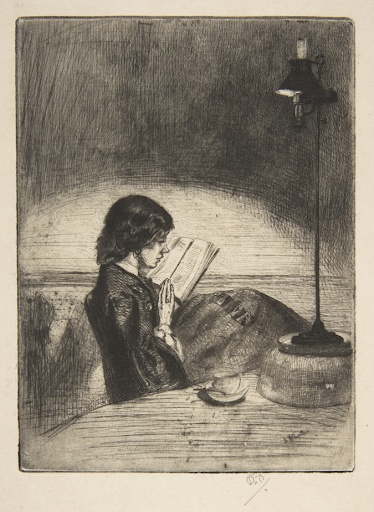 Reading by Lamplight, 1858. Etching and drypoint; black ink on fine ivory oriental laid paper. James McNeill Whistler 1834–1903. So much of Whistler’s work is nicely dressed upper middle-class of the time, that it may distract some art fans from appreciating his technique. In order to remember something a part of your brain has to keep telling your brain to watch for clues that what you are supposed to remember is required at the time you need to do something. It somewhat boils down to attention. If you let your mind wander, you’re less likely to remember. That seems simplistic but how many times have we really needed to do something, be somewhere and forgotten. Importance alone is not sufficient to make your brain recall what it needs to do.